Efrain Escudero is set to compete in the Bellator Fighting Championships on Saturday, October 22. Effy has made weight and is anxious to up his already impressive record to 18-3 with a win tomorrow night. Fighting Cesar Avila, Hecho en Mexico looks to up his post UFC record to 5-1, and catch the eye of the organization that released him a little over a year ago. The fight is set to be streamed over the internet on Spike.com. The team has great respect for Cesar, but we know that Efrain will come home with a win tomorrow, and will soon be back in the UFC. Good luck Effy, your team is behind you! This week at the Lab, two awesome team members received promotions. 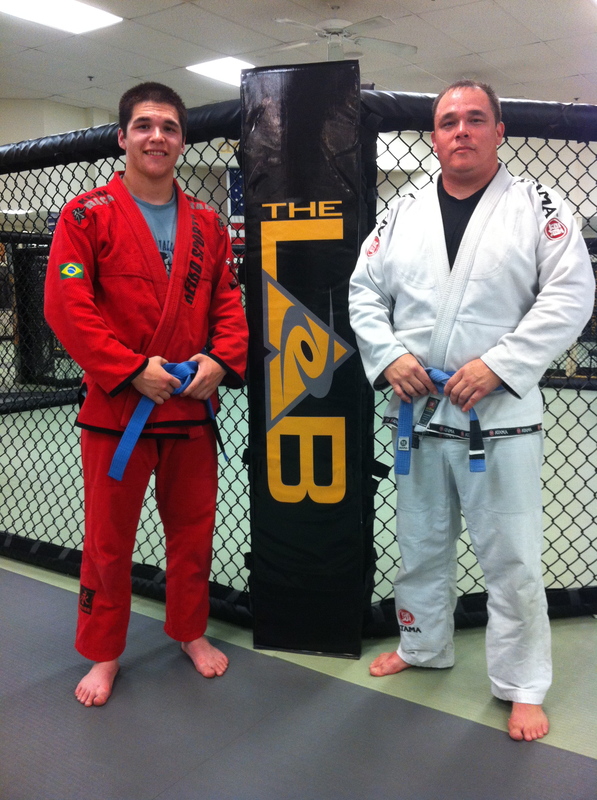 Deonn Talley got his blue belt and Eric Aguilar got his orange belt. Both guys have worked very hard and are very deserving of these promotions. Good job guys, very proud to have you as part of the team! 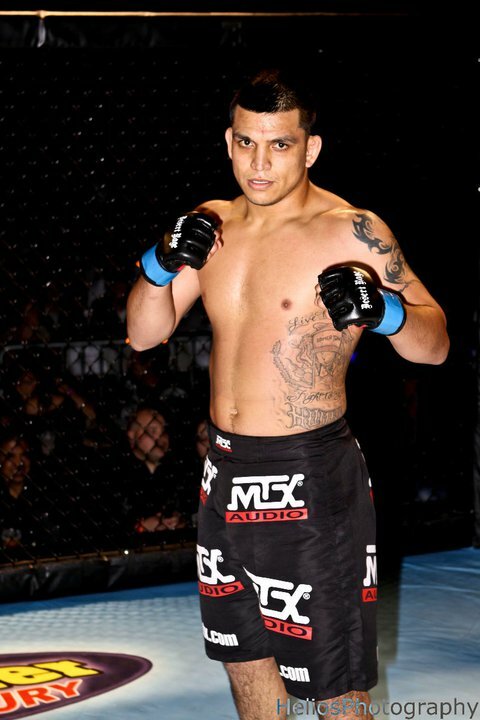 Tonight at the Fort McDowell Casino outside of Scottsdale, AZ, Saul Castro began his mma career with a win. Competing in the Bad Boy Boxing event, Saul dominated the fight with his wrestling and jiu jitsu for the first two rounds. Early in the third, Saul landed a hard hook and dropped his opponent. 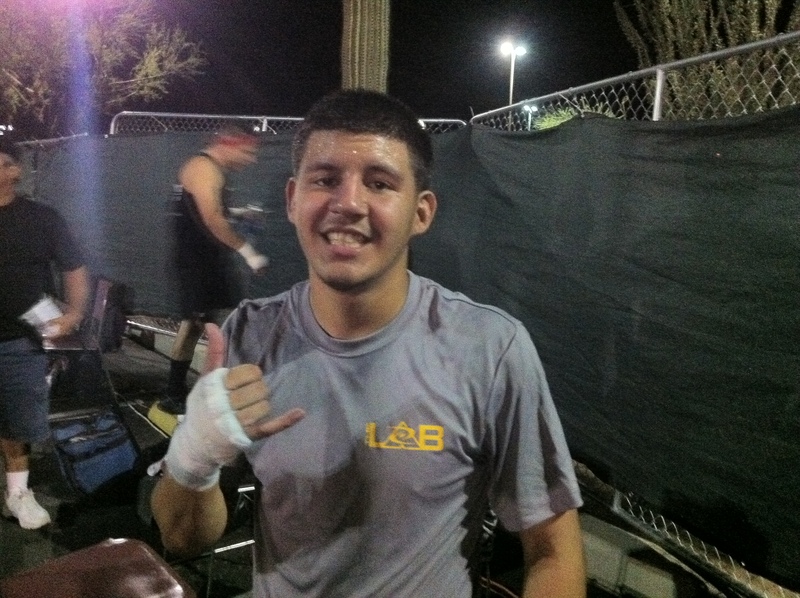 Seeing his opportunity, Saul pounced on the hurt fighter and scored a TKO in the third round. Cornered by Smooth Ben Henderson and Chris “Gritz” Gruetzemacher, Saul was composed throughout was impressive in his debut. At 19 years old, the future is very bright for this young man and we are very proud to have him as part of our team. Congratulations Saul!! 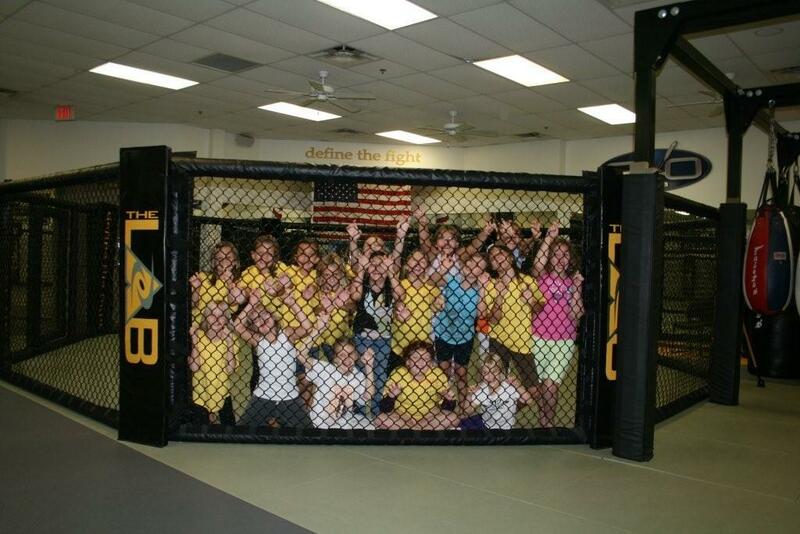 On Sunday morning, the MMA Lab was buzzing with energy as 16 girl scouts came in to take a class in Abduction Prevention/Awareness class. 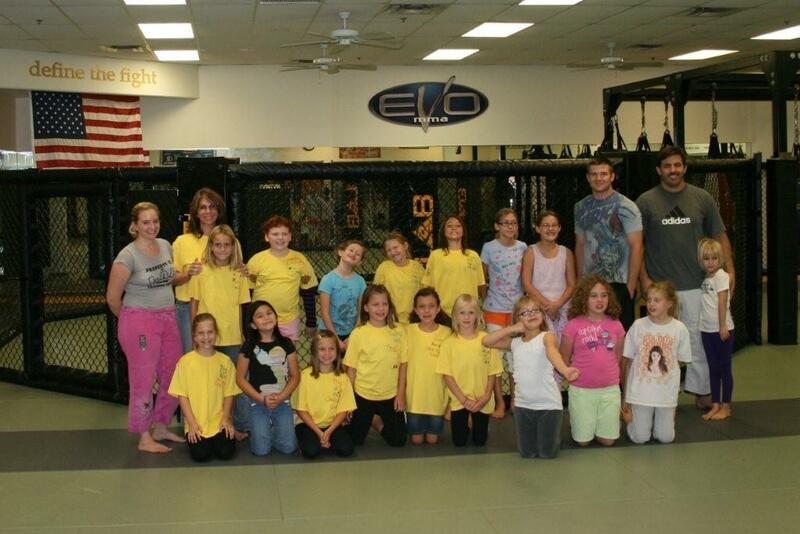 The girls did great, had a good time, and learned some very important things about how to keep themselves safe. As always, it was very rewarding to teach the kids and meet the parents; we are very lucky to do what we do at the Lab. We would like to send special thanks out to Shelly Crouch and Tyler Rolland for assisting with the class, you guys were awesome. Also a big thank you to Gina for bringing these wonderful young ladies in to take the class. 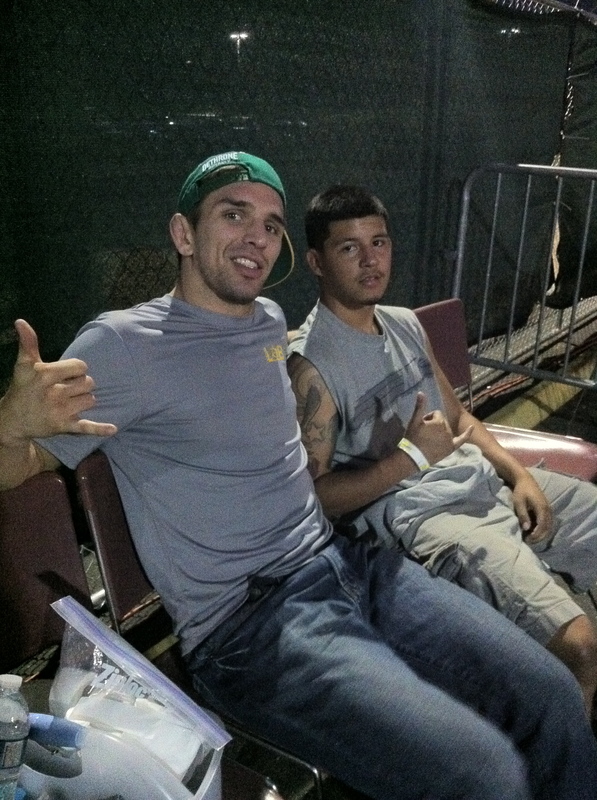 On Saturday, October 1, Yaotzin Meza went to El Paso, TX, to take on a tough Ran Weathers from Jackson’s MMA. 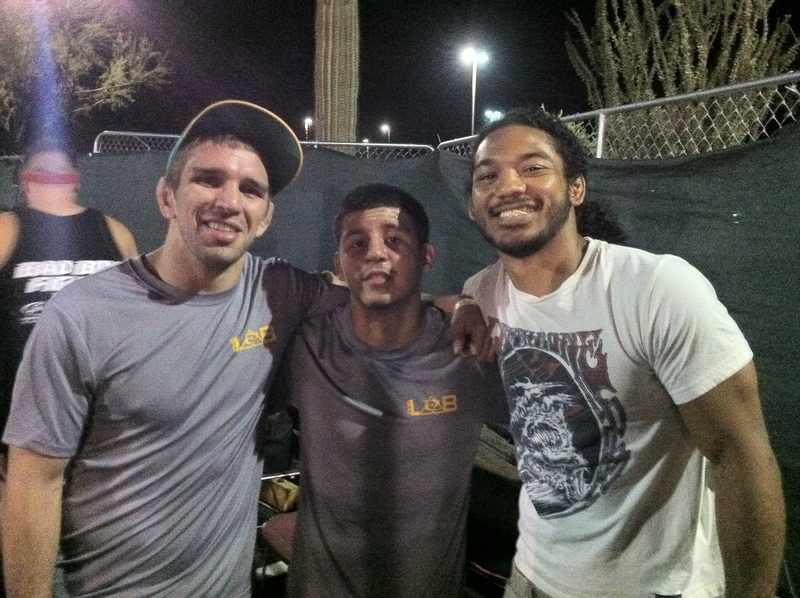 Yaddi had a great performance and dominated the first round with his takedowns and ground and pound. He did the same in the second, but added three knockdowns on top of that, and was dominate in winning a lopsided round. Weathers was game though, and came out strong in the third. Yaddi weathered the storm, escaping the mounted position and an armlock, to get back on top and win the third round too. The judges all saw Yaddi winning all three rounds for a tough, well earned unanimous decision. This latest victory extends Yaddi’s win streak to six, and he is looking forward to more great performances in the near future. The whole team is proud of Yaddi and his tremendous work ethic, and we all know nobody deserves this more than he does. Congratulations Yaddi! We had a great practice today with the MMA Lab Elite. Today was made even better when we made a new friend, Adam, who came and trained with us too. It was so wonderful to see his smile as he trained with Yaotzin today. When someone is truly joyful doing what they do….that is a great thing to watch. We feel very lucky to have met Adam and hope that he will join us again sometime soon. 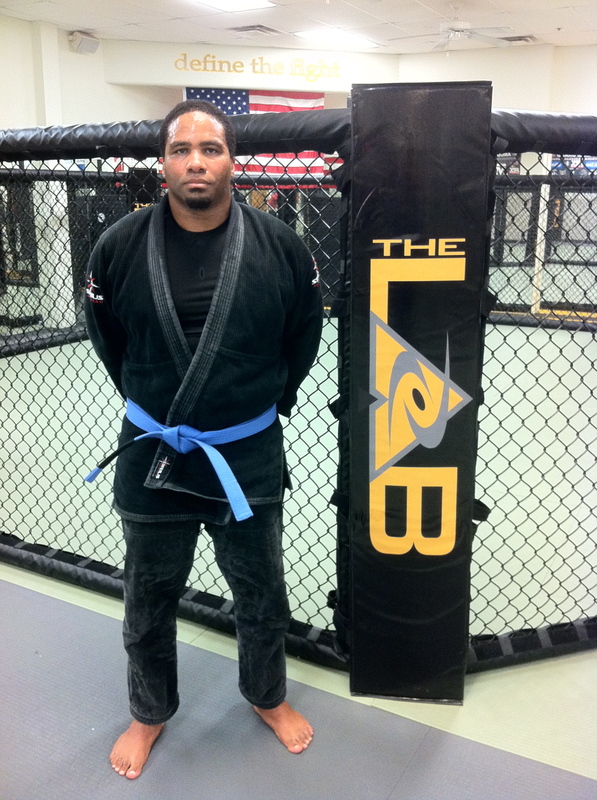 Tonight at the MMA Lab, George Alvarez Jr. received his Blue Belt. 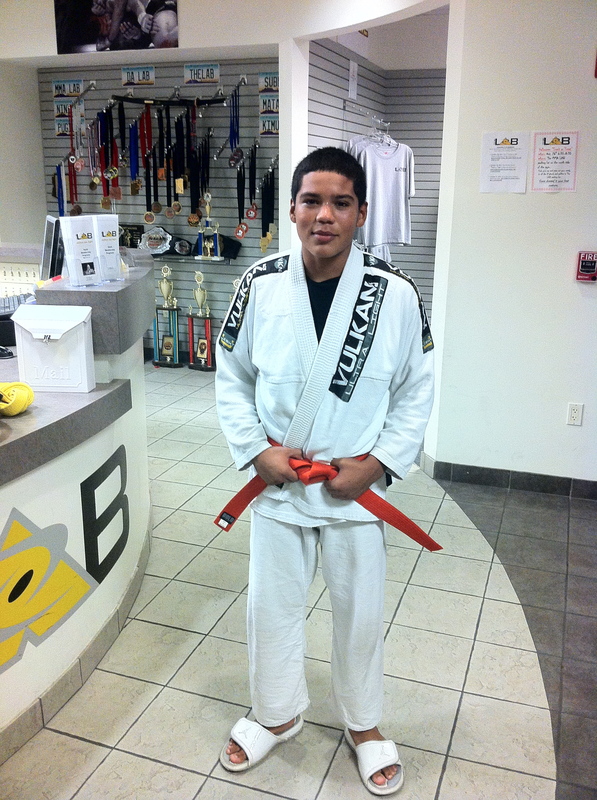 His dad, George Sr., a first degree blue belt himself, was in the class in class training when his son got his belt . The Alvarez family has been a huge part of the Lab, and we are so happy to have them as part of our team. Congratulations George and thank you to the whole Alvarez family!